One of my favorite things about decorating for Christmas is hanging my collection of ornaments on the tree. While I do have some “filler” ones, the majority of them are significant in some way — some I made as a child, others were gifts from friends, and more than a few have been picked up on vacations. In other words: not kitten-friendly. I didn’t want to go entirely without a tree this year, though, despite my worry for my ornaments and my knowledge of my kittens’ fondness for all manner of flora. (All the plants within their reach had to be spritzed with hot pepper spray to keep them from being eaten.) So, I decided to get an artificial tree, and selected the most artificial-looking one I could find; tall, skinny, and silver. 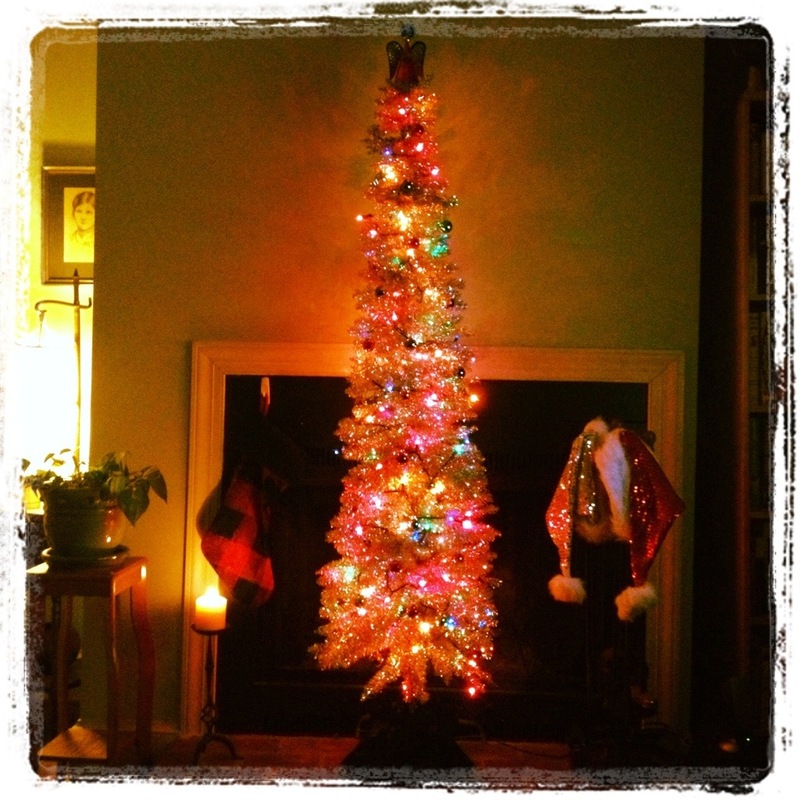 It’s totally different than any tree I’ve had before, but it’s really pretty cheerful. Fingers crossed that the kittens don’t destroy it! Good grief, woman, where did you go after I left you this morning?? Target! Where else does one find a fake, skinny, silver tree?